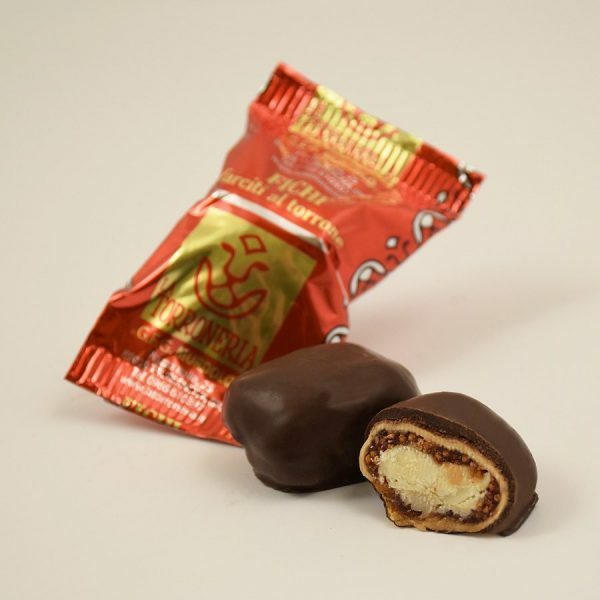 Dried figs stuffed with soft nougat, dark chocolate covering. ‘Fichi’ stuffed with nougat are dried figs with soft stuffing of soft nougat, covered with dark chocolate. 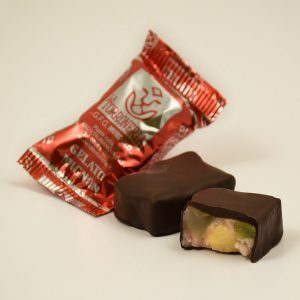 A small nougat with an unforgettable and original taste, ideal for the most demanding palates. 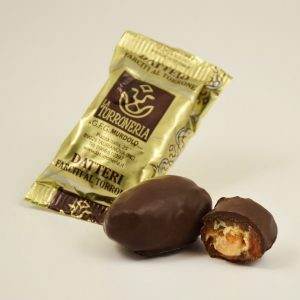 From the fifty years of family experience LA TORRONERIA by Giacinta, Francesca and Giovanni Murdolo was born. A new generation of confectionery tradition, with strong roots and an eye towards the future!